Do you want to know the residence time of your compound on its kinase target? Do you want to know the kinetic selectivity of your compound on a panel of kinases? At NTRC we developed ResidenceTimer™. This service measures target residence time and kinetic selectivity reliably and with short turn-around time. Drugs that reside on their target for several hours will have the advantage that their pharmacodynamic effect will last even after the drug has been eliminated from systemic circulation. 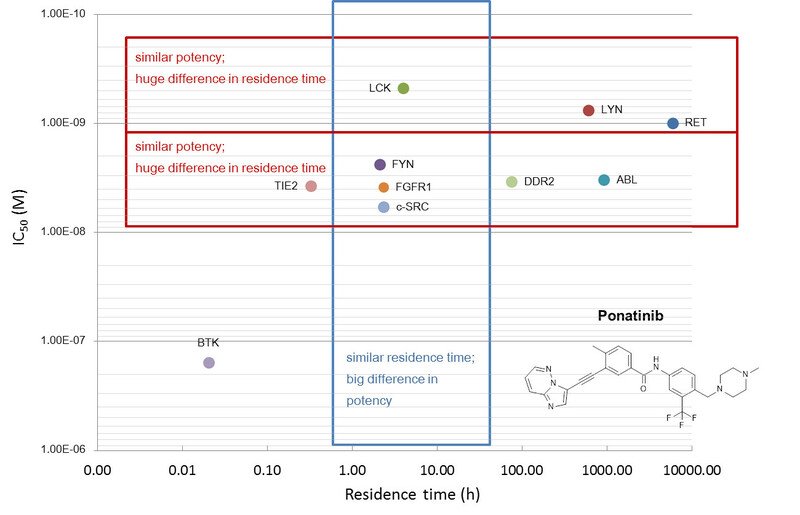 A variety of registered kinase inhibitor drugs exert their pharmacological effect through a prolonged target residence time, a.o., lapatinib (GSK), ponatinib (Ariad), and sorafenib (Bayer). Drug-target residence time is an important factor in compound optimization and for determining so-called ‘kinetic selectivity’. Especially for compounds where the target residence time exceeds the half-life in circulation, measuring kinetic selectivity is more predictive for in vivo effect than determining selectivity on the basis of IC50 or Kd. 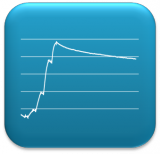 ResidenceTimer™ is our service to measure target residence time reliably and with short turn-around time. In ResidenceTimer™ we measure the kinetics of compounds binding to targets by making use of surface plasmon resonance. 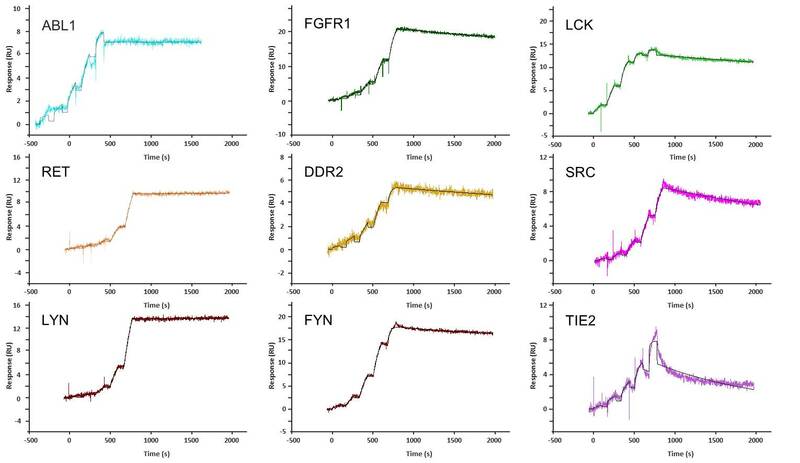 For protein kinases ResidenceTimer™ makes use of kinases that are specifically biotinylated at the N-terminus, so that immobilization on a streptavidin-coated chip occurs in a uniform way. 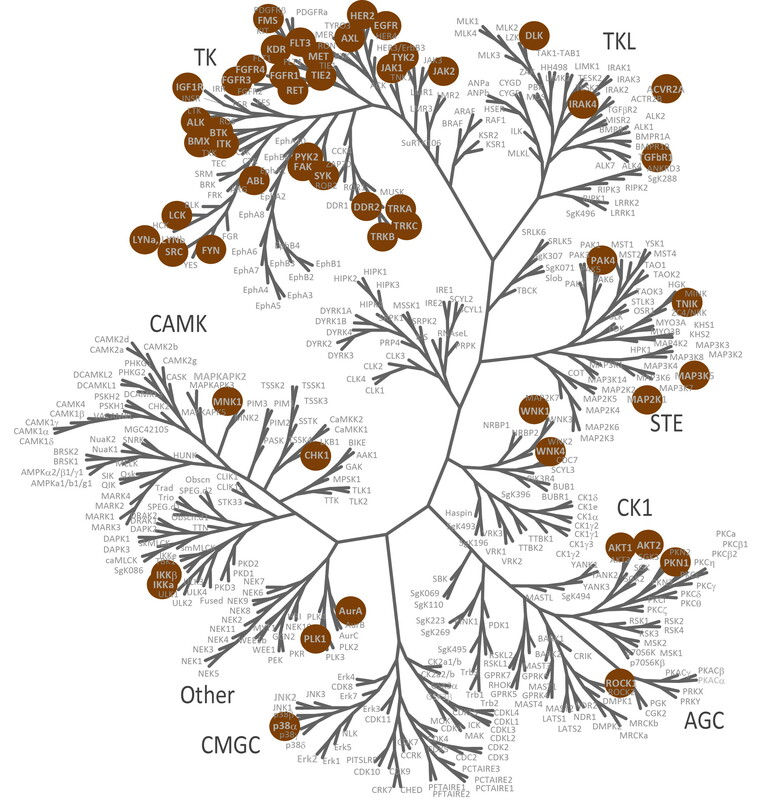 A panel of more than 60 different kinases has been established. To accurately measure target residence time, we are use a BiaCore T200 (GE Healthcare). Biacore T200 has been specifically developed for measuring the binding of small molecules to protein targets. Click here for full list of kinases assays available in our ResidenceTimer™ service. Surface plasmon resonance allows the direct monitoring of the binding of small molecules to protein targets. In contrast to competitive binding assays, surface plasmon resonance does not require target-specific probes. The immobilization of active protein kinases can be very challenging, however, as most enzymes rapidly lose activity at low pH during normal amine-based immobilization methods. We have used a panel of kinases that have incorporated one biotin label per molecule and that are immobilized at neutral pH. The binding ability of each kinase was validated using selective ligands. All binding experiments were carried out in one uniform assay buffer, making results highly comparable across kinases . All kinases are immobilized to an appropriate resonance level. Binding experiments are based on single cycle kinetics: i.e., compounds are injected consecutively at five concentrations over the surface with immobilized kinases, and, in parallel, over a reference surface. The injections are matched by reference injections, or by buffer containing no ligand. Both buffer injections and the reference flow channel signal are subtracted from the actual signal to ensure that the binding curve is of good quality and only reflects the compound signal (double referencing). By monitoring extended dissociation times we can accurately determine residence times even for compounds with a very long residence time. Compounds are measured in triplo in which we aim for a binding response of more than 10 RU. Binding curves are fitted with a single ligand binding kinetics protocol and parameters reported. Raw data are provided to the client together with a report. Willemse-Seegers et al. Compound Selectivity and Target Residence Time of Kinase Inhibitors Studied with Surface Plasmon Resonance (2017), J. Mol. Biol. (429), 4, 574–586.